Asiad Steels is one of the renowned exporters and distributors of GRADE A286 ROUND BARS / A453 GR.660 ROUND BARS, which offer a number of exceptional features like Low maintenance, User friendly, Sturdy design, Dimensional accuracy, Long working life, Strong construction, Precise design, Corrosion resistance, Diminishes rotational friction, etc. These are as well obtainable in different sizes, dimensions and thicknesses. It is used in a lot of applications where high strength and light weight are critical, such as in aircraft. All our accuracy machinery components are presented in a number of normal dimensions and as well according to the specifications of our customers. All our accuracy machinery components have increased widespread reception in the worldwide industries. Machining of it is conceivable, even though they are being chosen for excellent machinability in making intricate components. A453 GR.660 RODS is also being used for fungicides in agriculture and nutritional supplements. The resistance is very much significant for services like marine environments, bleaching operations, brackish water, closed loop water organizations and a number of food processing functions. 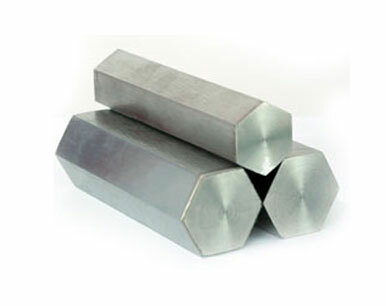 Involved as a known supplier and manufacturer, we are engaged in providing these A453 GR.660 BARS. They are mass-produced by using higher quality of alloy and in that way make sure to give outstanding durability. 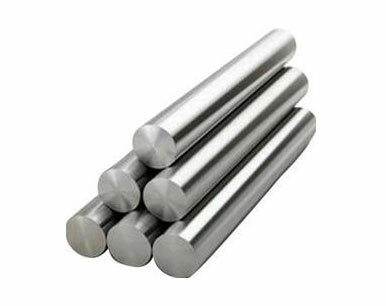 To meet the different demands of our admired customers, we are providing various collections of these GRADE A286 RODS. 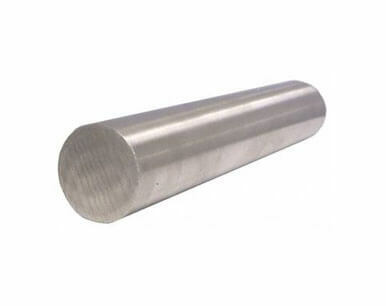 Known as one of the developing companies in the market, we are very much engrossed in offering these GRADE A286 BARS. Meanwhile, buy GRADE A286 ROUND BARS / A453 GR.660 ROUND BARS at reasonable rates from us at customized sizes and shapes. We are Exporter of Round Bars in Worldwide Such as India, Greece, Switzerland, Ghana, Austria, Belarus, New Zealand, Venezuela, Portugal, Iran, Angola, Thailand, Malaysia, Ireland, Netherlands, Oman, Hong Kong, Namibia, Peru, Chile, Vietnam, Pakistan, Iraq, France, Iran, South Africa, Gabon, Puerto Rico, Italy, Sri Lanka, Saudi Arabia, Ukraine, Mongolia, United Kingdom, Mexico, Taiwan, Romania, Costa Rica, Singapore, Brazil, Trinidad & Tobago,Tunisia, Sweden, Nigeria, Russia, Hungary, Nigeria, Germany, Morocco, Belgium, Poland, Bahrain, Lithuania, Poland, Mexico, Libya, Japan, Lebanon, Bulgaria, Denmark, Spain, Kenya, Bhutan, Tibet, Argentina, Nepal, India, Egypt, Philippines, Turkey, Serbia, United States, Israel, Canada, Azerbaijan, Afghanistan, China, Croatia, Norway, Kazakhstan, Yemen, Gambia, United Arab Emirates, Kuwait, South Korea, Bangladesh, Colombia, Chile, Czech Republic, Qatar, Zimbabwe, Australia, Bolivia, Jordan, Indonesia, Algeria, Finland, Estonia, Macau, Slovakia, Ecuador. We are Suppliers of Round Rods in India Such as Mumbai, Chennai, Pimpri-Chinchwad, Chiyoda, Geoje-si, Noida, Hong Kong, Pune, Jaipur, Surat, Howrah, Kolkata, London, Hyderabad, Vadodara, New York, Houston, Hanoi, Caracas, Cairo, Coimbatore, Atyrau, Nashik, Baroda, Ho Chi Minh City, Dammam, Sharjah, Edmonton, Al Jubail, Petaling Jaya, Karachi, Ranchi, Ahvaz, Haryana, Secunderabad, Lahore, Riyadh, Navi Mumbai, Calgary, Chandigarh, New Delhi, Dubai, Algiers, Gurgaon, Jeddah, Thane, Faridabad, Lagos, Kuwait City, Ankara, Rajkot, Moscow, Vung Tau, Singapore, Mumbai, Port-of-Spain, Jamshedpur, Bhopal, Istanbul, Visakhapatnam, Ahmedabad, Aberdeen, Jakarta, Tehran, Muscat, Bengaluru, Mexico City, Sydney, Bogota, Dallas, Abu Dhabi, Manama, Gimhae-si, Melbourne, La Victoria, Santiago, Thiruvananthapuram, Brisbane, Rio de Janeiro, Busan, Granada, Colombo, Indore, Perth, Al Khobar, Milan, Toronto, Kuala Lumpur, Ernakulam, Bangkok, Kanpur, Seoul, Ulsan, Courbevoie, Nagpur, Madrid, Ludhiana, Montreal, Doha, Los Angeles.